SriLankan Airlines celebrated Thai Pongal – the celebration of the first harvest of the year, at its home base at Bandaranaike International Airport, Sri Lanka. 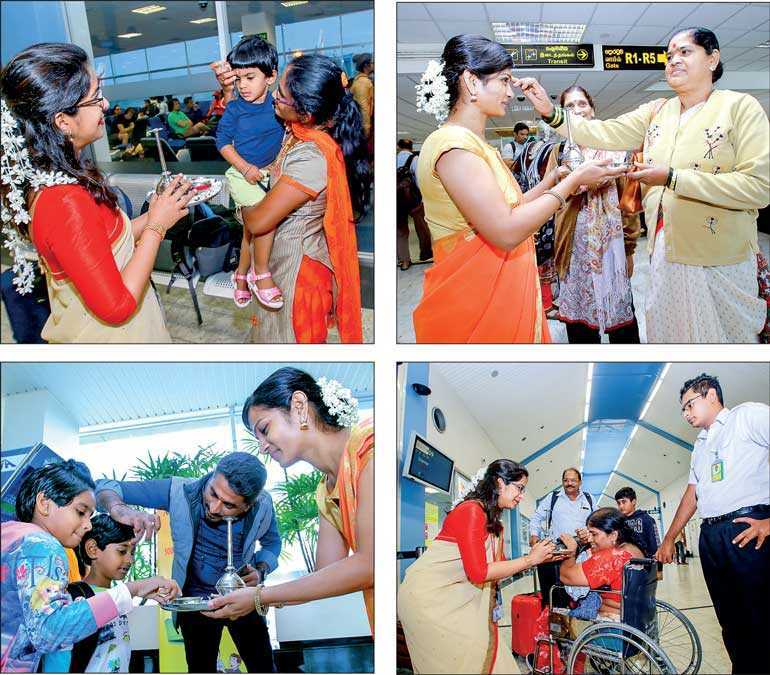 The Airline’s ground handling staff greeted and celebrated Thai Pongal festival with passengers at the departure and arrival gates. Further, passengers at the SriLankan Airlines Business class Serendib and Serendiva Lounges were welcomed with a beautiful Kolam and treated to Pongal rice. The gesture by SriLankan Airlines delighted passengers flying to and from India such as Madaras, Cochin , Trivandram, Trichi and Madurai on the morning of Thai Pongal.